A partnership between 3D-Fuel and bio-composite company, c2renew, has produced a line of intriguing bio-based composite materials. 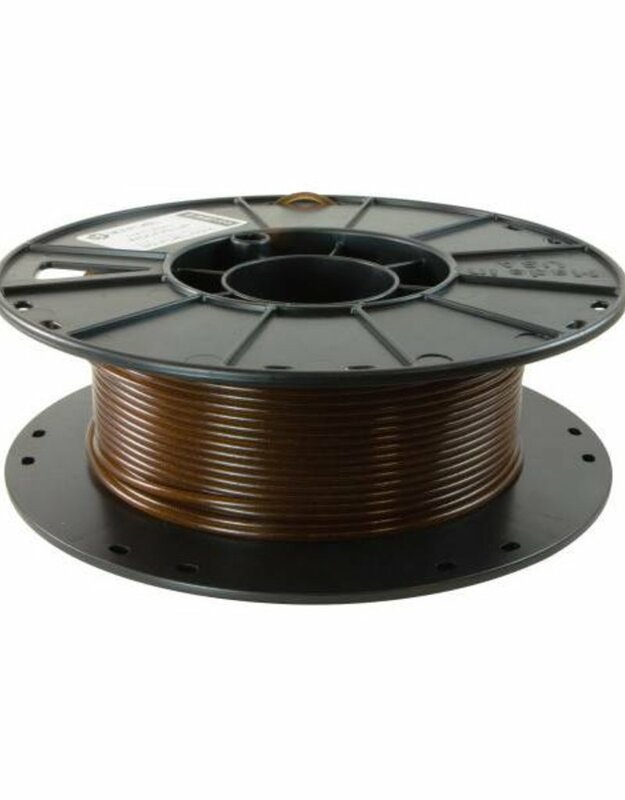 These materials can be printed on any machine capable of printing with PLA using standard PLA settings. 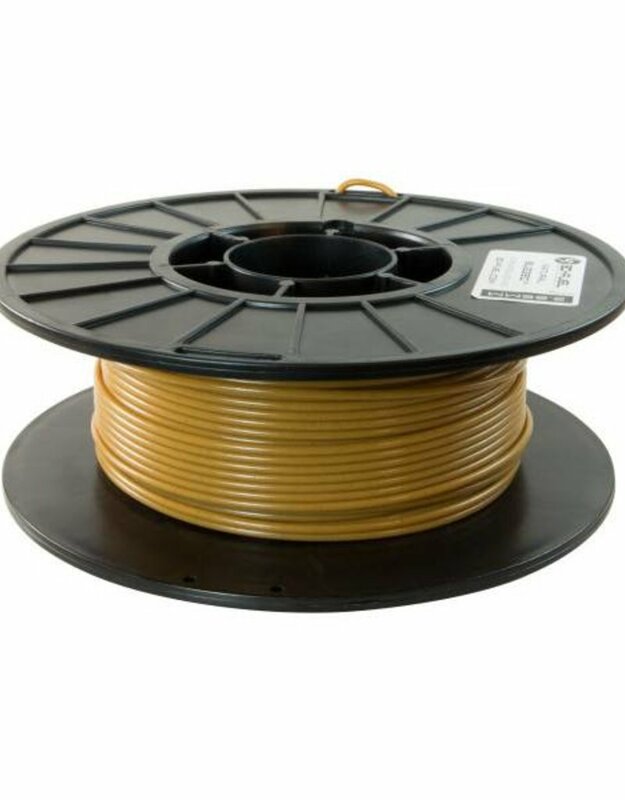 3D print with hemp filament! 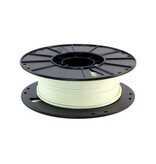 Entwined is 3D printing filament produced from USA-grown and processed industrial hemp. Industrial hemp crops require no herbicides, no pesticides, and grow more densely compared to corn. 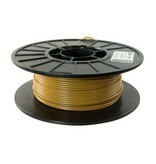 Entwined hemp filament uses no dyes, allowing it to maintain a true natural brown. It’s almost iridescent in its ability to showcase different shades and densities within the same printed object. There’s a large amount of visible bio-fill, something you don’t get with standard PLA. Wound Up is a coffee-filled 3D printing filament made using waste byproducts from coffee. Wound Up uses those coffee left-overs to create a special 3D printing material with visibly unique print finishes. 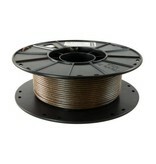 The filament produces products with a rich brown color and a noticeable natural grain. 3D print with hot garbage! 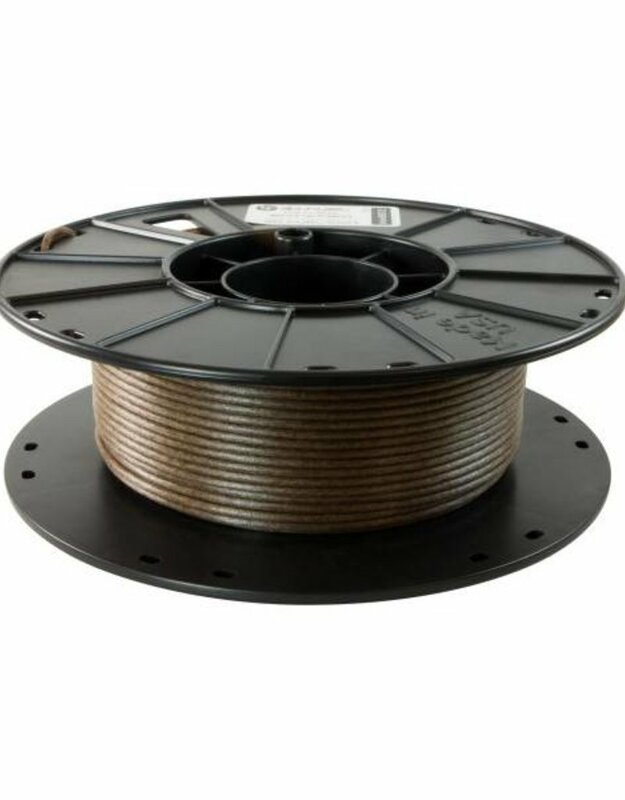 Landfillament is a garbagebased 3D printing filament made using upcycled Municipal Solid Waste (MSW). On location, the MSW, from which metals have been removed, is run through a process called pyrolysis – a thermochemical decomposition of organic material at high temperatures in the absence of oxygen. During pyrolysis a char byproduct is created. 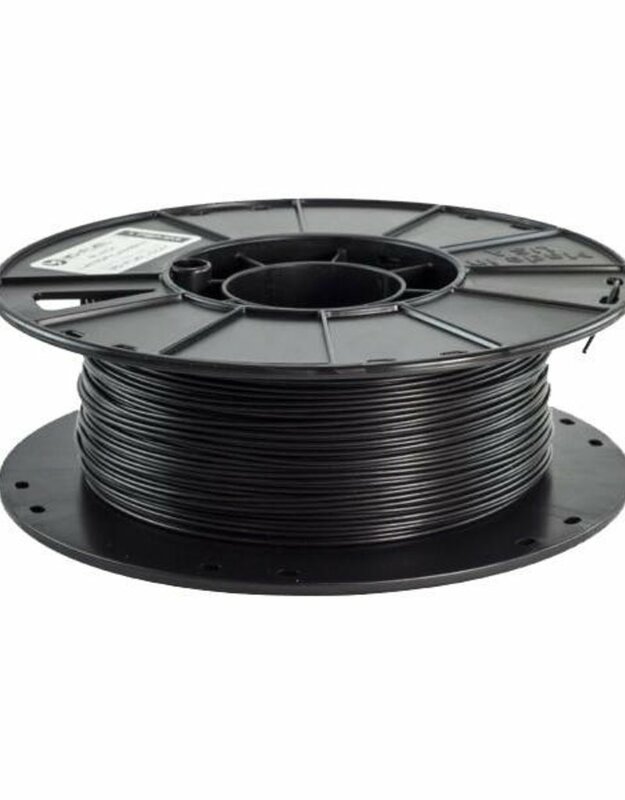 Glass Filled PLA is an effort to advance engineered and practical-use 3D printed parts and components but also is easy to use, just like PLA. 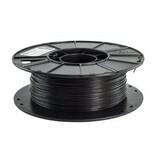 When you need extra strength, toughness, and durability in your parts, Glass Filled PLA will do what you need it to. We’ve tested real 3D-printed parts in Standard PLA and Glass Filled PLA. 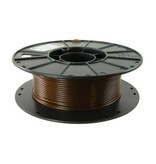 We found that Glass Filled PLA is 1.4 times stronger, 1.3 times tougher, and 1.9 times more flexible. 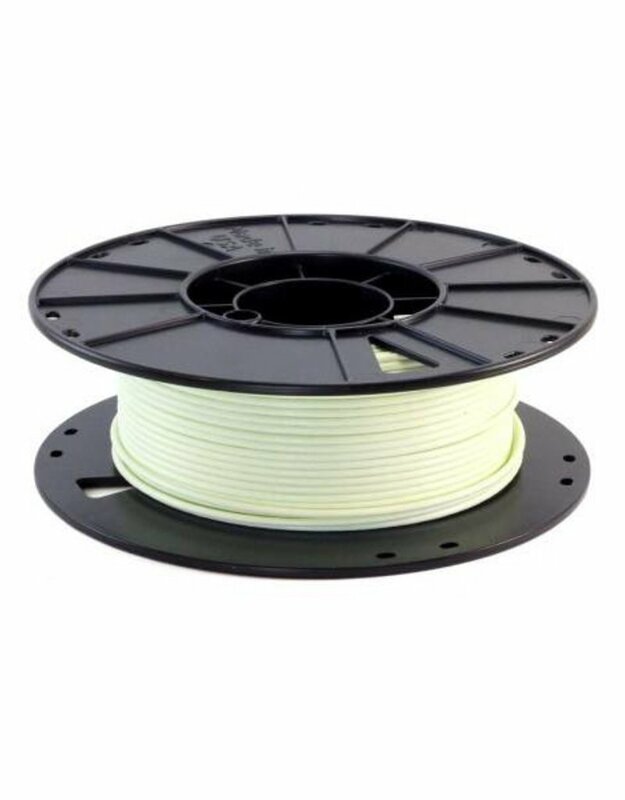 Like standard PLA, Glass Filled PLA allows you to print with ease on any 3D printer capable of printing in PLA, with very low warp, very low odor, no special extruder needed, and no heated bed needed.